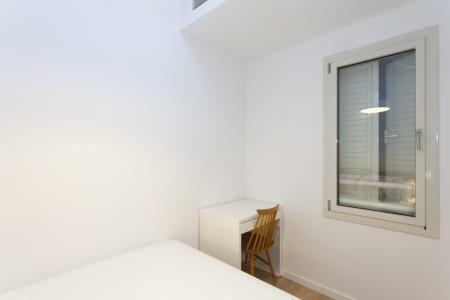 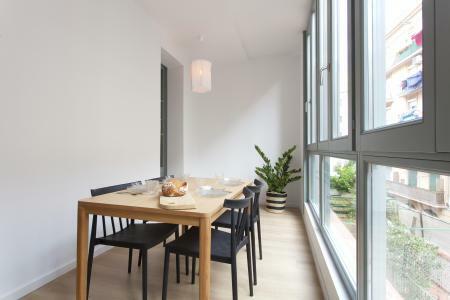 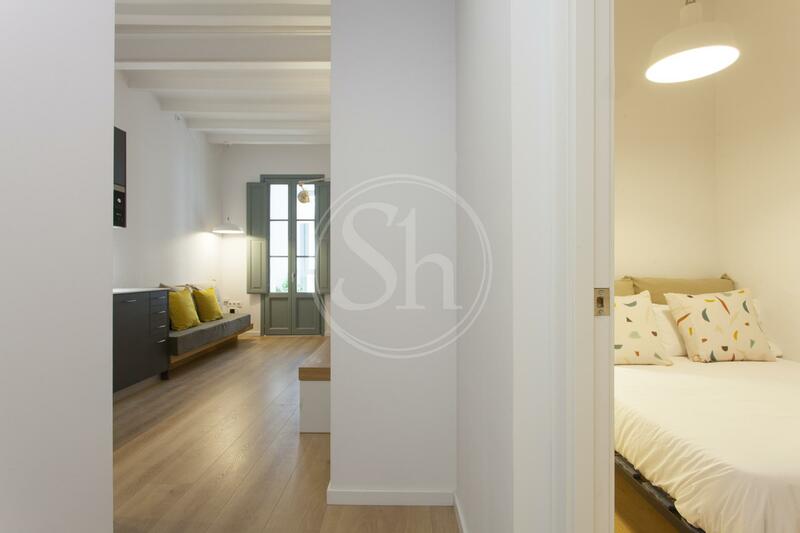 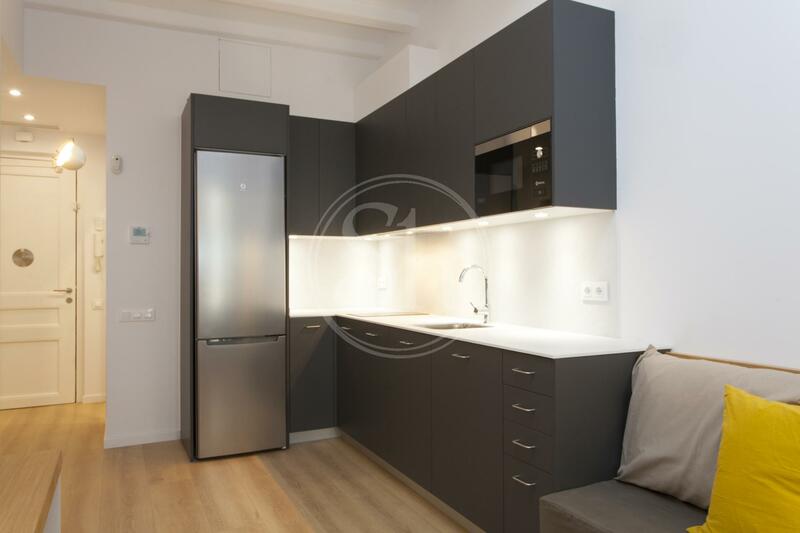 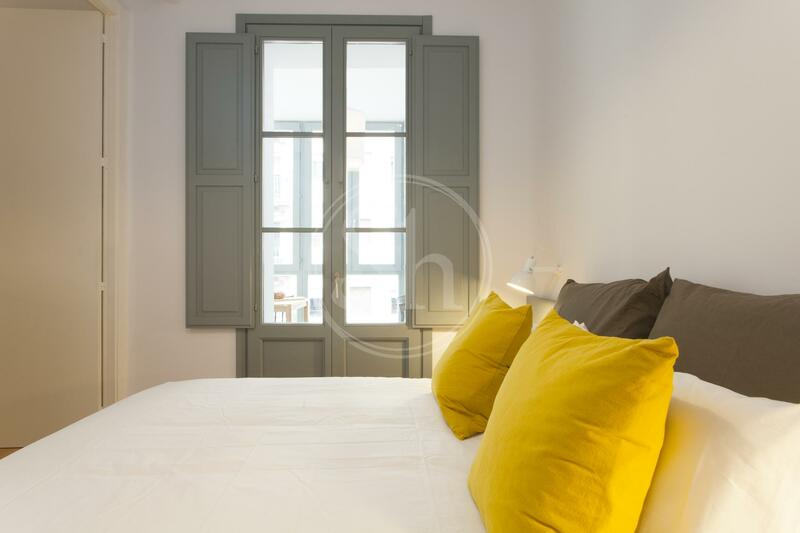 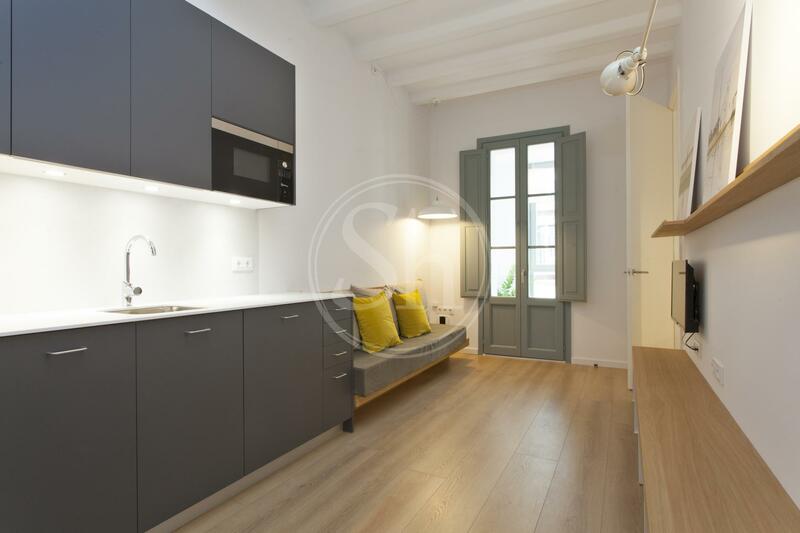 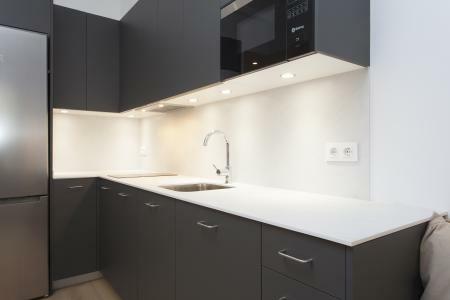 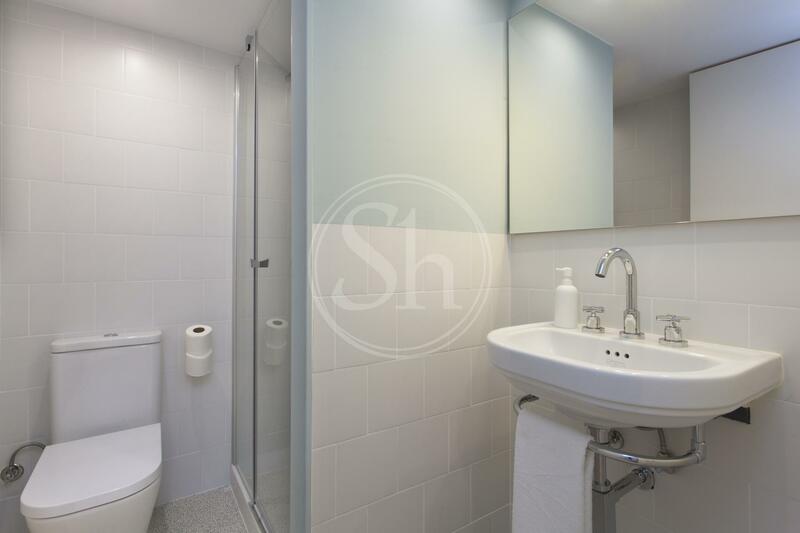 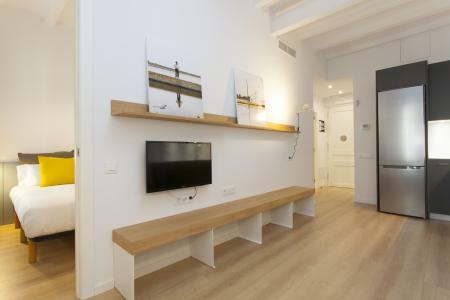 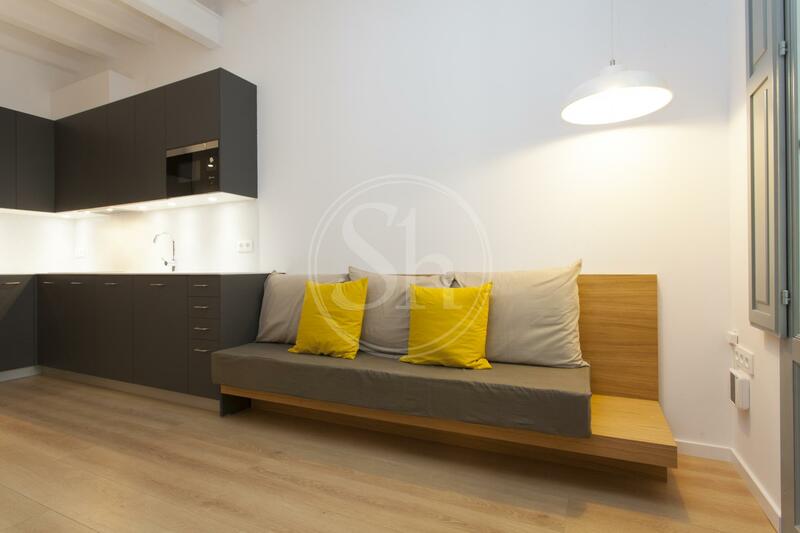 ShBarcelona presents this modern rental flat on Calle de Roser, a few meters from Avenida del Parallelo. 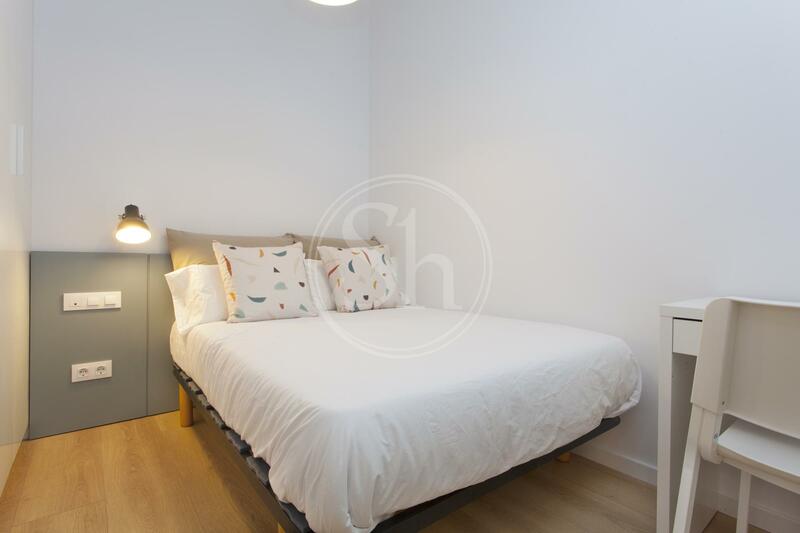 The property is fully furnished, covering an area of 65m2, distributed over two double bedrooms with fitted wardrobes, a bathroom with shower, an open-plan kitchen, a living room and a bright dining room with a large window offering views over the neighbourhood. 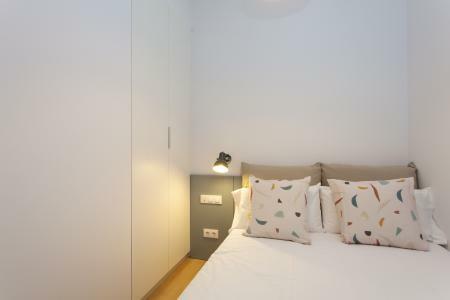 It also has air conditioning with heat pump, washing machine and high-speed internet connection included in the rental price. 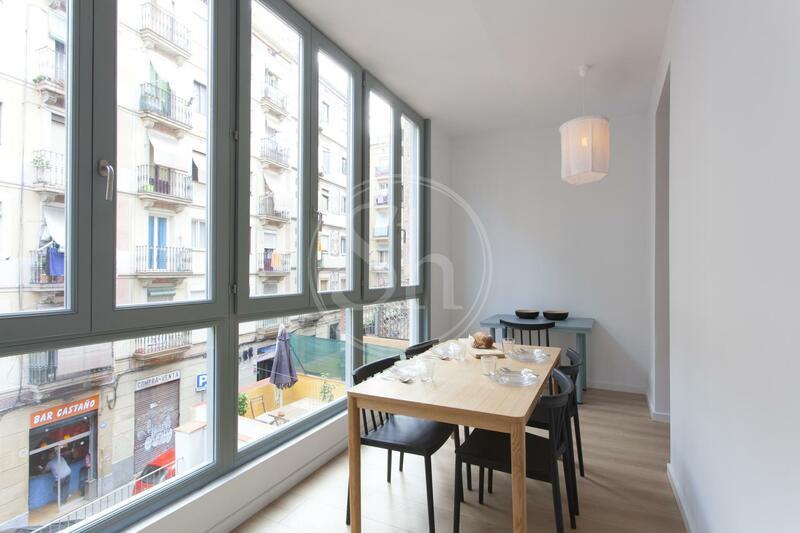 This building is located in Poble Sec which stretches between Avenida Paral.lel and the promontory of Montjuïc. 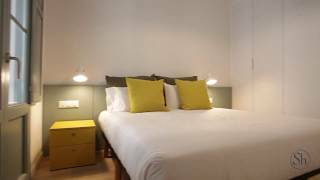 It is very close to the centre and the port, with the interesting Port Vell sea route walk. It is primarily a residential area, although it also benefits a lot of leisure activities and gastronomy. 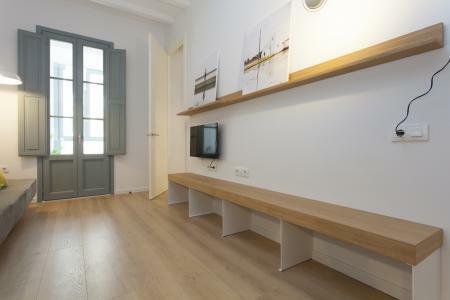 It is a great option if you want a central location, yet with the advantages of being away from the crowds of tourists. 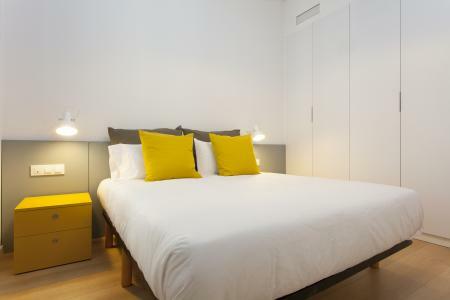 There is a range of theatres, bars and pubs with live music here too. The subway stop Paral.lel, L2 y3 is very close to the building. 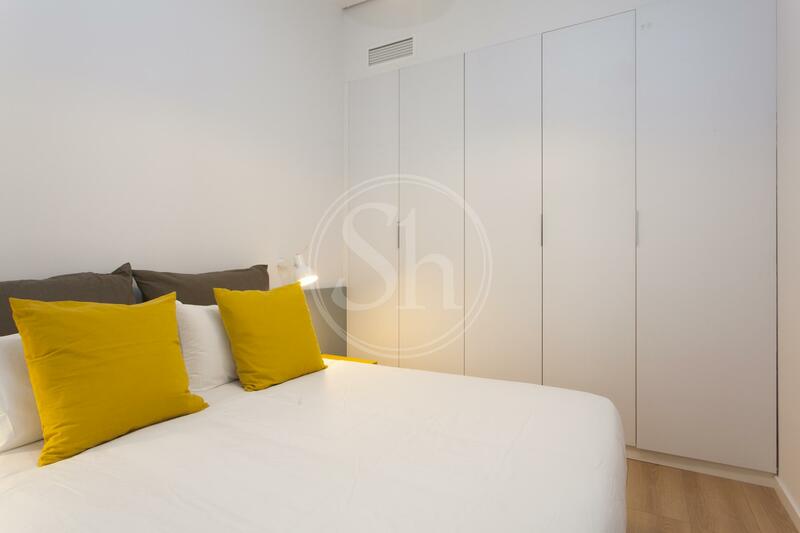 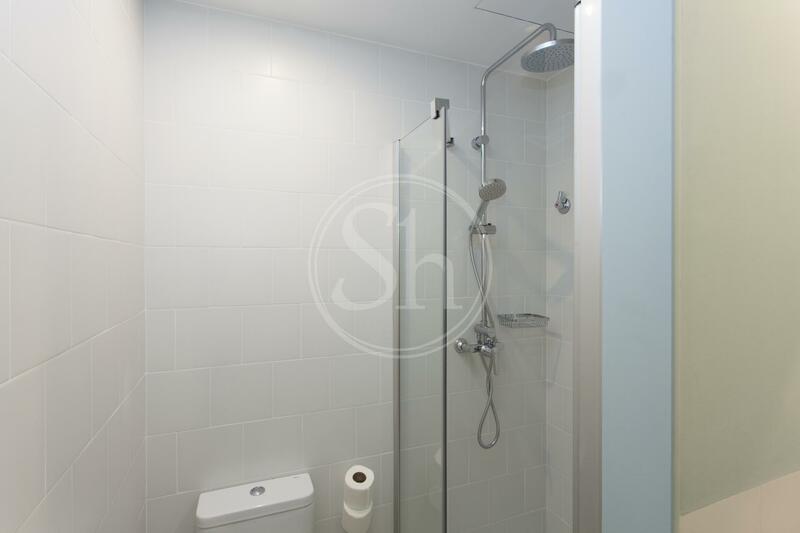 For more information about this flat or others in the area, contact ShBarcelona.